Here at Kartel, we care about you. We believe that one of the most important things in life is spending quality time with people you love. And what’s a better quality time than a good talk around a bottle of wine and a cheese platter! We have created a very special deal for you and your friends to enjoy at Kartel. 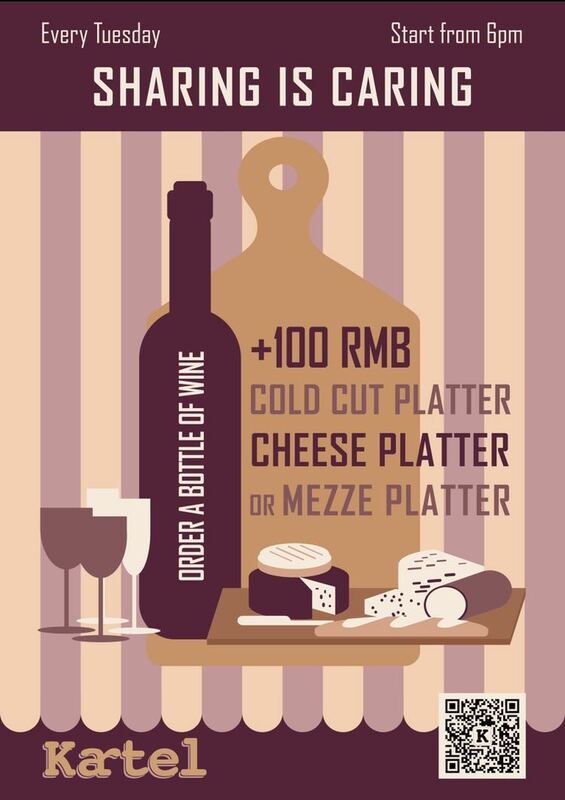 Every Tuesday, order any bottle of wine from our menu and enjoy cold cuts, cheese or mezze platter for RMB100 extra. Sharing is caring, so don’t keep this deal for yourself, feel free to share around you!